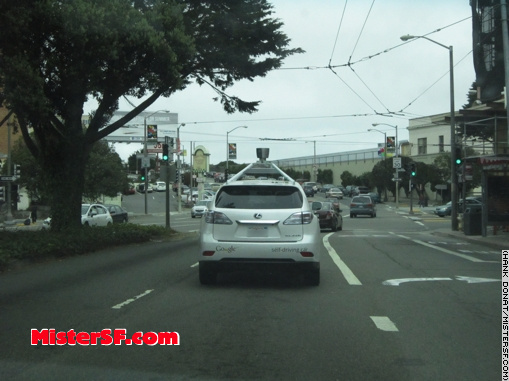 Dateline: Masonic Avenue between Geary Blvd. 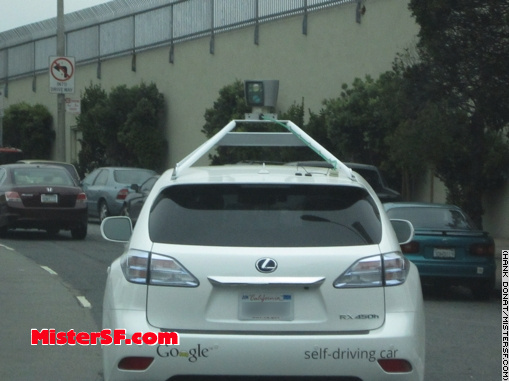 and Euclid Avenue, where Mister SF finds himself behind Google’s self-driving car on a data gathering excursion. 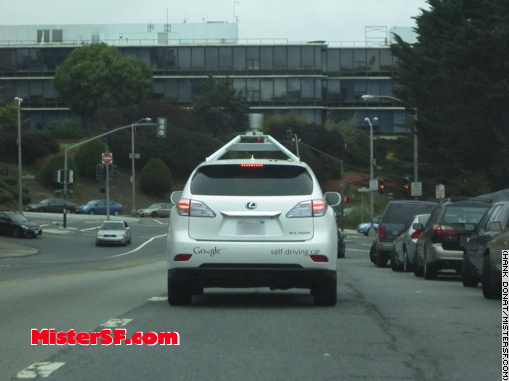 Mister SF doesn’t know how to drive, but who doesn’t love being a passenger on a San Francisco driving trip? 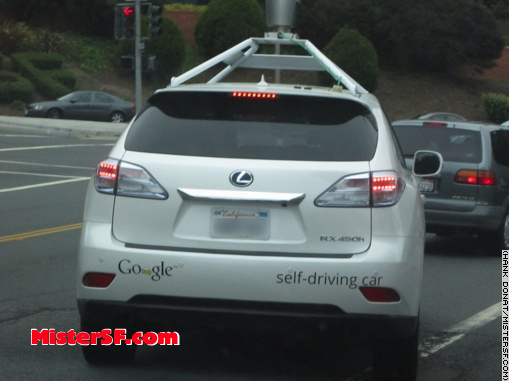 A driverless car seems like it might be missing part of the fun. But wait, is it too good to be true? Who’s that behind the wheel? 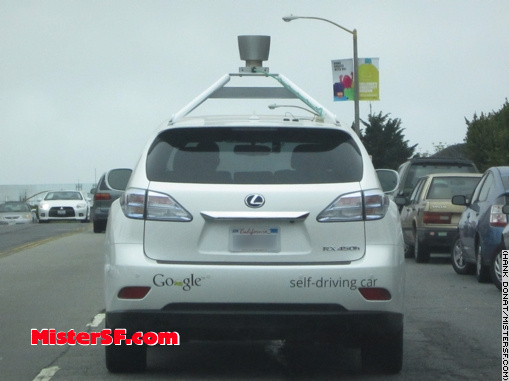 I know you’re joking but when you put it that way if you don’t drive, a self-driving car could be a driverless car.